We are going through unprecedented changes. Many experience the symptoms of transformation first hand – from a very personal to a global level. When we look at the world today it is easy to fall into depression and despair. The predominant story in our society of who we are and why we are here is indeed hopeless and offers no effective solutions anymore. If we want to move beyond paralyzing despair we need a new story that allows us to dream, to hope and to believe in miracles again. And this story is not yet written. It needs safe spaces to emerge. This keynote and interactive workshop will create a direct experience of this new story by connecting deeply with ourselves, with others and exploring and sharing our gifts. 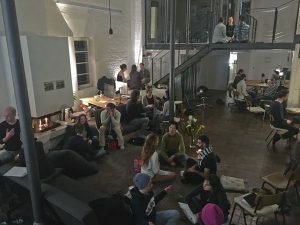 A safe space for you to open up, show yourself and learn how to create an environment where exponential change and miracles become powerful tools of transformation – and also the basis for innovation and business success. With each activated individual, an exponential wave is started. If you switch on your light, you’ll inspire 10 to 100s of other people directly to do so as well! So it is your „spiritual duty“ to shine your light fully and step on the stage! Interested to host The Cocoon Experience? I’m happy to come to your city or organization! 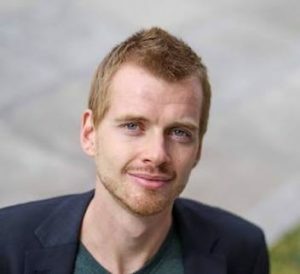 Jonathan Klodt is a Berlin based international coach and facilitator. He works with leaders and innovators from all fields in the process of transforming self, businesses and society. His unique skill is to create safe spaces where everyone can show themselves fully and vulnerably without masks. It is in these safe spaces – the cocoons of the caterpillar – that true transformation and innovation for exponential impact can occur. He creates these spaces in 1:1 leadership coachings, in leadership development programs for organizations or through crafting mind spaces as an international keynote speaker. He is a co-founder of the award-winning organization Leadership³ and has been pioneering collective leadership and the new-work paradigm for many years.